Can this ultra-thin 'sunscreen' save the world's largest coral reef? Chemical layer is seen as a way to protect the Great Barrier Reef from effects of global warming. Like other coral reefs around the world, Australia’s Great Barrier Reef is facing big threats from climate change — such as warmer and more acidic seawater and increased ultraviolet (UV) radiation from the sun. Last year experts said large sections of the reef were essentially dead, bleached into oblivion. But scientists Down Under have come up with a sunscreen of sorts that they say could help protect the reef during heat waves. It’s an ultra-thin layer of calcium carbonate — the same material naturally found in coral skeletons — that could be applied to the water’s surface above the reef. “Our aim is to give the coral time to adjust to the changed conditions of high temperature and doses of UV light so that the coral forms different chemical structures that can survive,” Dr. David Solomon, a professor of chemical and biomolecular engineering at the University of Melbourne and a senior advisor to the team of scientists who came up with the idea, told NBC News MACH in an email. The biodegradable screen would be sprayed onto the water’s surface, where it would form a layer just one molecule thick, or 50,000 times thinner than a human hair. 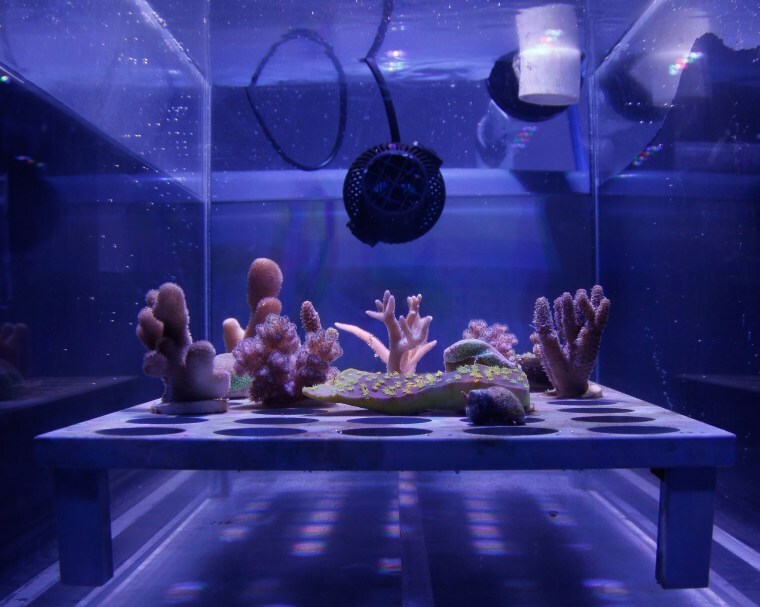 Recent tests suggest that the thin film would reflect up to 30 percent of UV light falling upon the water’s surface, helping keep the water at just the right temperature for the reef below. Because the screen is so thin, it doesn’t prevent birds or fish from passing through, and can even reform after the water settles. “The initial testing showed there were no adverse impacts on corals during the small-scale trial,” Anna Marsden, managing director of the Great Barrier Reef Foundation, a charity dedicated to protecting the reef, told MACH in an email. The Great Barrier Reef covers more than 130,000 square miles along Australia's northeast coast, so it’s not feasible to apply the screen across the reef’s entire expanse. “Shading with a sunshield would only be feasible for tiny areas, assuming the chemical doesn’t drift away or break up,” Dr. Terry Hughes, director of the Arc Centre of Excellence for Coral Reef Studies at James Cook University in Townsville, Australia, told MACH in an email. James Cook University is a research partner with the Great Barrier Reef Foundation, but Hughes wasn't among the scientists working on the project. The researchers hope the screen can be applied to the reef’s most vulnerable sections of coral. “For example, it could be to help protect important tourism sites or specific areas that are of high conservation value that are under stress at particular times,” Marsden said. The Great Barrier Reef was designated as a World Heritage Site in 1981.